You and the band both come from Sheffield. 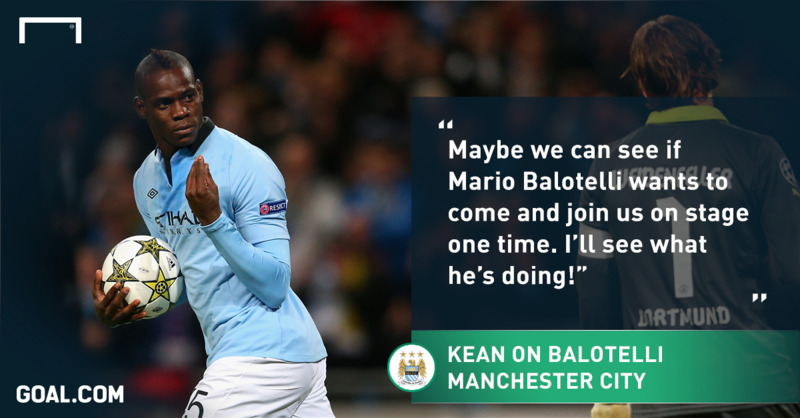 What made you gravitate towards Manchester City? “Well, when I was younger I was one of those kids who fell into football, I was too busy playing it and my family was no so well off so we could never really afford to go and watch any games so I never really got drawn in by the local teams. And then it all started when I was old enough to move out, I wanted to get away from there, I ended up moving to Manchester and when I moved to Manchester I thought ‘okay, I’m going to go and start watching football now because I can afford it’ and City had the cheapest tickets! The Yorkshire part in me! I think when I started going it was only, like, 25 quid so I was like, ‘okay, I’ll start going’. As soon as from watching the first game I think not long after I bought a season ticket and I’ve had one up until a couple of years ago, until the first season we won the league. That was the first season I stopped having my season ticket because I moved out of the country but now this year, in January, I moved back to Manchester and I’ve started going to games again. Was the first season ticket you bought at Maine Road, or at the Etihad? This season City have made a flawless start, you’re favourites aren’t you? £49 million is a lot of money for Sterling… Can he pay that back? Manchester United have spent some money, are you worried by their investment… They’re still the big rivals, aren’t they? You must have been to a derby or two… Is that still the biggest game, or is it more Chelsea and Arsenal? What do you make of the Etihad redevelopment? One of the abiding memories of the Etihad is Aguero’s goal. You said you weren’t there but what are your memories? City’s rise has almost mirrored the band, hasn’t it? It’s been a whirlwind two years for both, hasn’t it? Do you think you’ve adjusted to being famous, now? “I guess we’ve got used to playing bigger and bigger shows. But other parts of it, I’m not really comfortable in, even doing stuff like interviews or photoshoots, we don’t really like it, we just do it because we have to, kind of thing. And we surround ourselves, we’re a tight group of friends as well within the band. When you go on tour so much you kind of lose touch. I have a few friends back in Manchester that I go to the games with, but apart from that, we don’t really see other people that much. When I have time off I see the football and I see my family and that’s about it, really. So we’re kind of close, we’re all still how we were when we first started. We don’t really see ourselves as that, it’s weird that people like to come up for pictures and stuff like that, it’s weird. So football is your point of contact? You must be ready for a good reaction on Friday, the album is out. How excited are you and the guys for the new tracks? 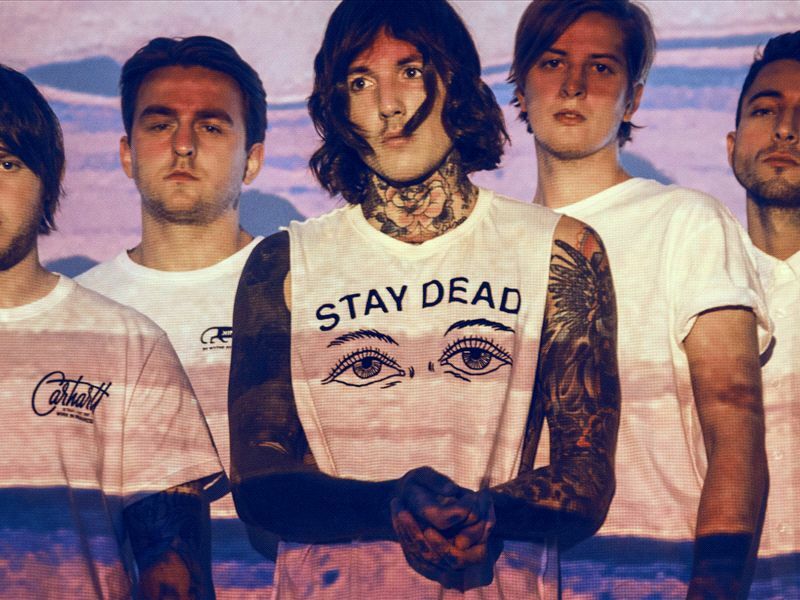 You’ve done sell-out shows around the world, had a top-three album, what more can we expect from Bring Me The Horizon? Do you see yourselves becoming better and better as the years go on? Of all the songs you’ve released so far, what would you say is your favourite? Being a rockstar can’t be bad though? But you’ve got the best of both worlds, surely?